Today is National Strawberry Parfait Day! Strawberries are everywhere right now, and they are cheap! I have been eating them until they have been coming out of my ears! 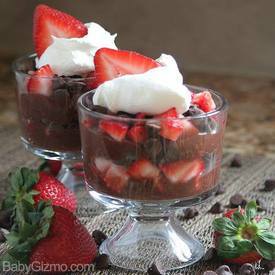 You already know that chocolate & strawberries in one of my favorite combinations, so I've got to try this! !